The British Council is the United Kingdom's organisation for cultural relations and educational opportunities. Our purpose is to create international opportunities for the people of the UK and other countries and build trust between them worldwide. We use English, arts, education and society, the best of UK’s cultural assets, to bring people together and to attract partners to work with us. We create opportunities for tens of thousands of young people annually and have over 7,000 staff in 191 offices in 110 countries and territories. The British Council Occupied Palestinian Territories office opened in Palestine in 1943 and has built stronger ties and greater mutual understanding between Palestinians and the UK. 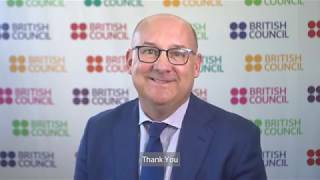 Watch what the British Council OPT's new Director Martin Daltry says about our work in the Occupied Palestinian Territories. British Council latest press releases about our programmes and activities, as communicated with the media and press.